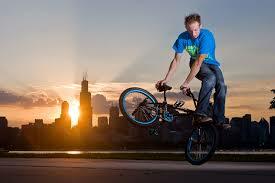 Lannon students to hear from BMX champion - Hamilton School District. Lannon Elementary School will hear from renowned speaker and BMX biker Matt Wilhelm Jan. 25 at 10:15 a.m. in a high-energy BMX stunt show with a positive message. A nationally recognized speaker on the topic of bullying, Wilhelm weaves in subjects of safety, resiliency, growth mindset, kindness and positive solutions. He appeared in the Cartoon Network’s award-winning anti-bullying documentary. Students will learn about empathy, resilience and respect.